On our last official day in Brighton, to set ourselves up for a day of packing, loading up a van and cleaning our flat (sobs) we headed up to Joe’s. My boyfriend had never been so I had to take him before we left. 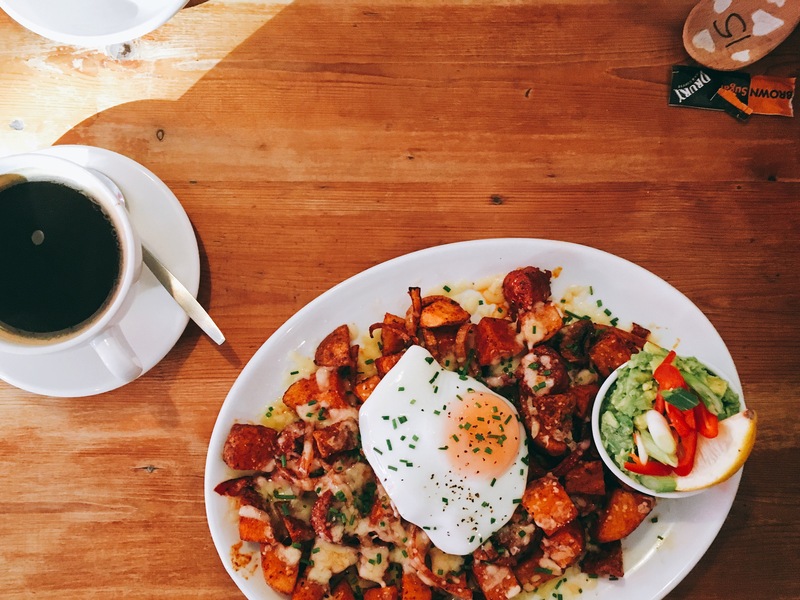 I went for the chorizo hash at the recommendation of the boy behind the till and my boyfriend went for the Big Joe’s Full English – he was really impressed. It was a Tuesday and all hashes are on offer on ‘Hash Tuesday’ so this bad boy only cost £5.50! I also added a pot of crushed avocado on the side which is a great accompaniment to the breakfast. Bit of health an’ all that. 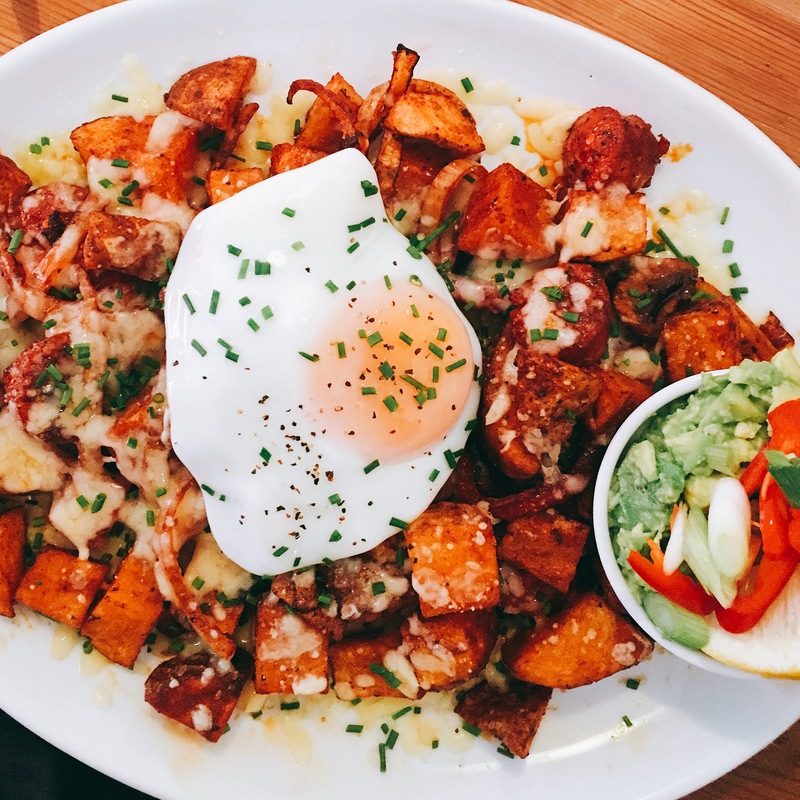 The Joe’s hash is slightly less naughty brother of the Billie’s hash and are made fresh to order. 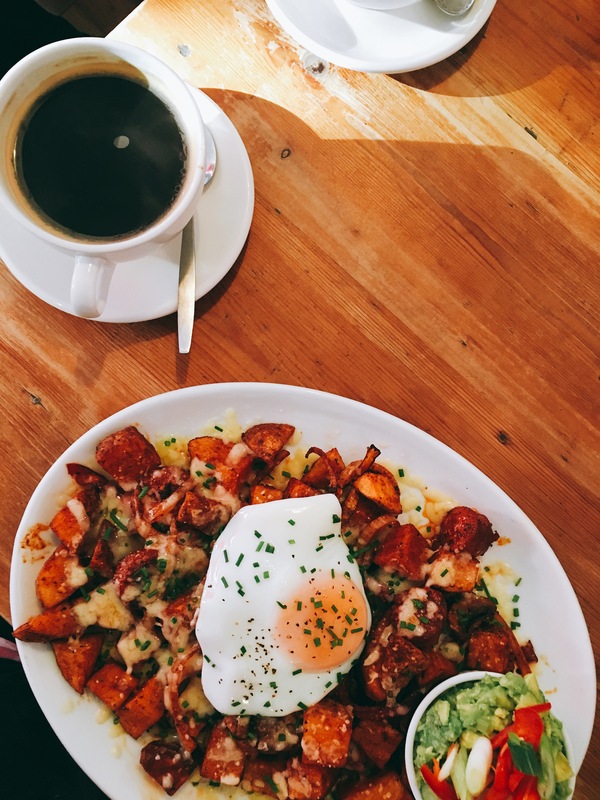 I’ve tried out chorizo in various breakfasts across town but this is the only one that I have really enjoyed – big chunks of chorizo laced through the hash, flavoursome and not dried out. The egg on top was perfect and my only critique on my previous review was that there wasn’t enough cheese; it was just the right amount this time! Joe’s delivers time and time again and it’s easy to see why they were voted in the top three. They consistently deliver fresh food which is all locally sourced where possible and all the staff have been great on every occasion that I’ve visited. 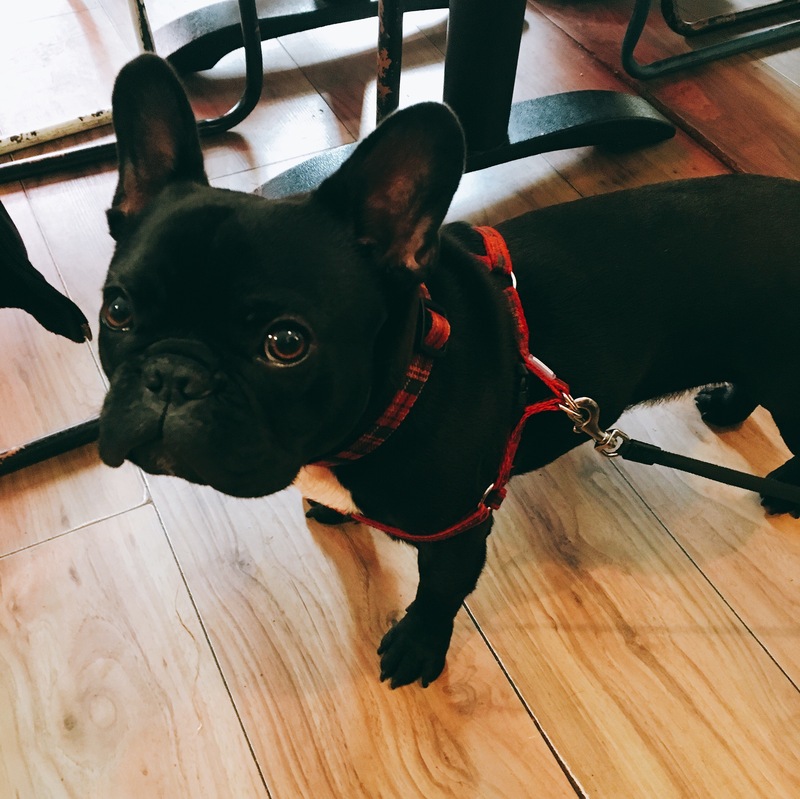 They’re also dog friendly so Stanley approves. 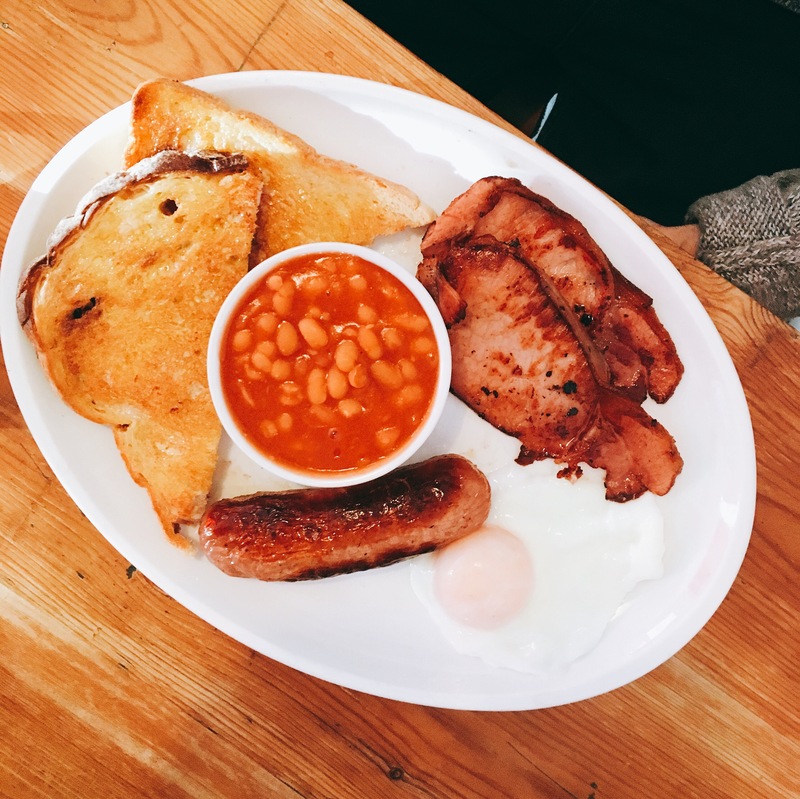 Joe’s also made my top breakfasts list for Brighton Girl – find my full list here.